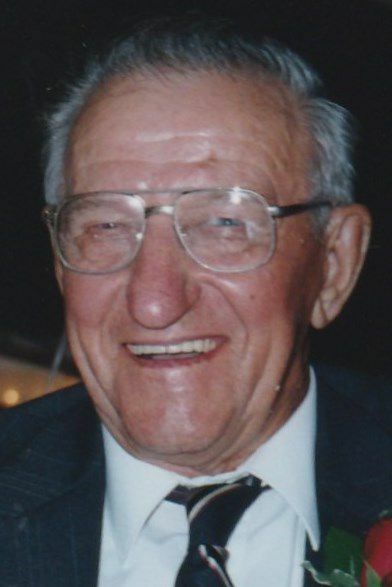 BOYD — John A. Kosakoski, 96, of Boyd passed away peacefully Monday, Jan. 14, 2019, at Aggie’s Country Living in Eagleton, Wis.
John was born March 20, 1922, the son of Anton and Albertina (Jarocki) Kosakoski, on the family farm in the town of Edson. He attended Liberty Hill School in the town of Edson and in 1943 he married the love of his life, Elaine Eslinger, July 6, 1943; they had been married for 73 years. They raised eight children and farmed for over 60 years, John then built a new home for his loving wife. They had traveled to Germany, Alaska, Hawaii, Mexico. In early days they enjoyed a trip out to Yellowstone National Park. John was a hardworking and adventurous man before he married Elaine, he would work with the harvesting crews that worked to the West. He also worked in logging camps and sent money home to help his family. He worked hard and was admired by friends and neighbors, even earning the name Honest John. He enjoyed donating his time to help the church and the community. He liked balance work life with hunting trips out west and fishing trips to Canada with friends, where they would enjoy playing practical jokes on one another. He also enjoyed playing cards with family and friends also called “The Boyd Bunch.” Hunting season was also time spent sharing fun and laughter with children and grandchildren. He was a strong family man and time spent with family was important. He planned out and took many trips with Elaine and their children. John is survived by his Children-Diann Kosakoski of Boyd, Denise (Joe) Thornton of Chippewa Falls, Dawn (Tom) Hoffman of Manitowoc, Wis., Kim (Rudy) Klisiewicz of Stanley, Teres (Rusty) Gindt of Boyd and Tony (Geraldine) Kosakoski of Cadott; daughter-in-law, Lorraine Kosakoski of Eau Claire; 28 grandchildren, 50 great-grandchildren, brother-in-law, Richard Seufzer of Tomahawk, Wis., and also survived by many nieces and nephews. He was preceded in death by his parents, Anton and Albertina Kosakoski; wife, Elaine Kosakosk; sons, James Kosakoski and John Kosakoski; and daughter-in-law, Juanita Kosakoski; grandson, Kevin Kosakoski; siblings,Weslaf Hera, Helen Marion and Jean Hahn. A Mass of Christian Burial will be held at 11 a.m. Wednesday, Jan. 23, at St. Joseph’s Catholic Church in Boyd, with Monsignor Richard W. Gilles as Celebrant and Father William Felix as Concelebrant. Visitation will be from 4 to 8 p.m. Tuesday, Jan. 22, with a 7:30 p.m. Rosary Service and also from 9:50 to 10:15 a.m. Wednesday morning at the Leiser Funeral Home Cadott. In lieu of flowers, memorials are preferred and will be directed by the family. Express online condolences at www.leiserfuneralhome.com.